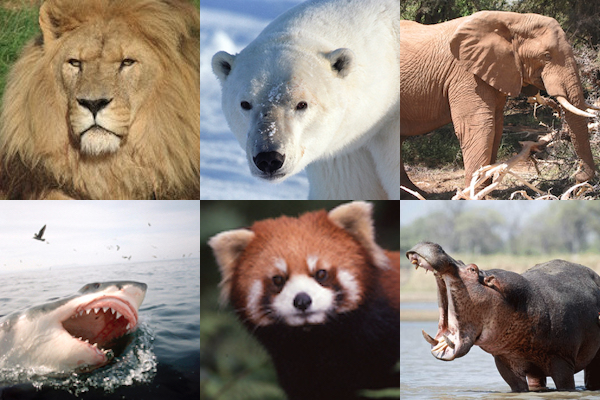 WHAT DO lions, polar bears, African elephants, great white sharks, red pandas, and hippos all have in common? None of them are endangered species. Such a statement may seem counter intuitive. After all, lion populations have decreased by 40% over the past two decades, and African elephant populations are projected to decrease by 20% in the coming decade. Polar bears are running out of viable habitat as sea ice increasingly disappears, and great white sharks are being removed from the ocean for their fins at unsustainable levels. The Black rhino is listed as critically endangered on the IUCN RedList and endangered under the Endangered Species Act. Photo credit: Billy Dodson. So if these species aren’t endangered, what are they? The short answer is that they are all “vulnerable” species, or species at risk of becoming endangered according to the International Union for the Conservation of Nature (IUCN). Other species that are more imperiled, such as the green sea turtle, the Bengal tiger, and the blue whale, earn the label of endangered. Those in an even more perilous state, such as the California condor and black rhinoceros, are critically endangered. To complicate things, all vulnerable, endangered, and critically endangered species are classified as threatened. 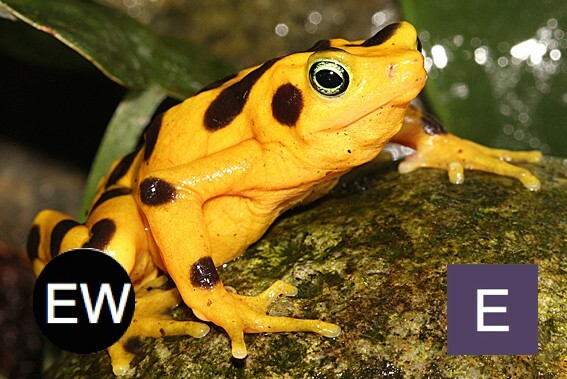 The panamanian golden frog is extinct in the wild. Photo credit: Darren Smy. Such distinctions may seem like semantics, but a hierarchical list of species is crucial for successful conservation. Assigning a conservation status to a species, a process known as listing, helps to structure conservation efforts by prioritizing the most imperiled species for conservation funding and protection. Species listings can also act as a barometer of conservation success or failure. A net decrease in threatened species means things are generally improving, while an increase indicates a need for greater conservation action. Sounds simple enough, right? Well, just when you got the hang of it, it gets more complicated. There are multiple lists for imperiled plants and animals, each with their own criteria for what qualifies a species as “endangered”. Species listed as endangered on one list may be missing from other lists, resulting in a patchwork of conflicting statuses assigned to a single species. 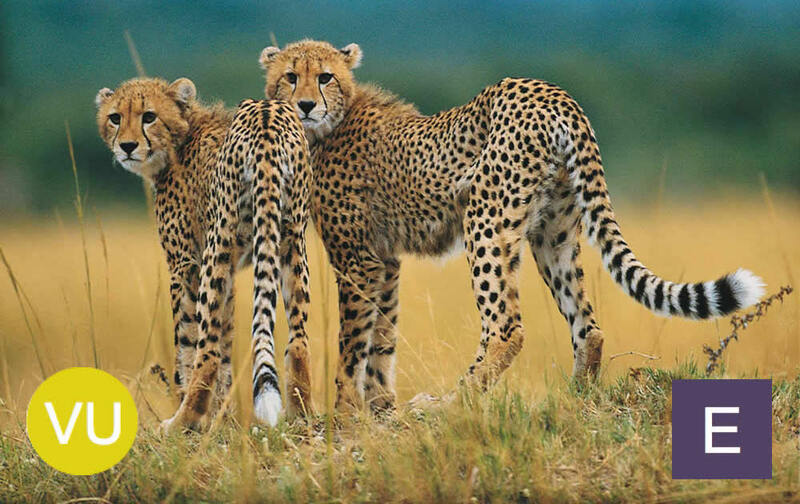 The cheetah is listed as vulnerable on the IUCN RedList and endangered under the Endangered Species Act. Photo credit: IFAW. While multiple lists may seem redundant, the current system exists for good reason. Different endangered species lists serve different purposes, such as guiding scientific research or regulating government policy. While scientists assign “endangered” listings based on data and trends, governmental lists factor in the needs of other stakeholders in addition to scientific data. Understanding the versatility of the term “endangered” can be accomplished by comparing the largest and most widely used species lists: the IUCN RedList, a product of the scientific community, and the Endangered Species Act, a product of the US government. The most widely used and respected inventory of threatened species worldwide, the IUCN RedList catalogs the conservation status of over 77,000 species, with many more waiting to be assessed. The strength of the RedList lies in its scientific methodology. Experts who have devoted their lives to researching a particular species assess conservation status, measuring factors such as population trends and geographic range against a standardized scale. The range of possible listings under the IUCN RedList, as well as the criteria required for listing. 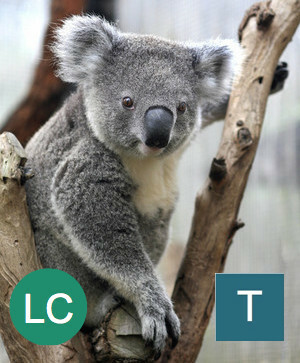 For a more detailed list of the IUCN criteria used to assess species, click here. The United States Endangered Species Act (ESA) goes a step further than the IUCN RedList beyond identifying imperiled species to actually conserving them. As a federal law, the ESA is designed to protect species from harm and facilitate their recovery. Once a species is listed as endangered under the ESA, that plant or animal is legally protected from human caused harm or harassment, and critical habitat for the species is set aside by the government to be protected from development. Conservation strategies are outlined in species recovery plans, with the ultimate goal of de-listing, or removing, species from federal protection once they have recovered. The listing categories under the US Endangered Species Act, or ESA. Unlike the IUCN RedList, the listing categories “Threatened” and “Endangered” are separate. If you are not from the US, consult this list to find your country’s definition of “endangered”. 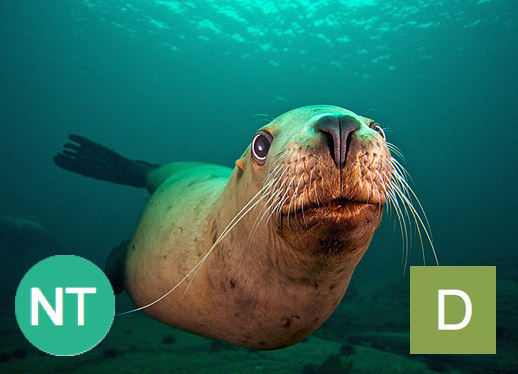 The Steller sea lion, listed as near threatened on the IUCN RedList, was delisted from the Endangered Species Act after exhibiting sustained signs of recovery. Photo credit: Jon Cornforth. Enacted in 1973 under President Nixon, the ESA has been lauded as one of the most successful pieces of environmental legislation in US history. A 2012 analysis of the law found that 90% of listed species are recovering at or above the rates outlined in their federal recovery plans, and to date 28 species have recovered enough to be de-listed. Such conservation success stories include the American crocodile, certain gray wolf populations, and the bald eagle. The main drawback of the ESA compared to the IUCN RedList is that species listings become subject to politics. A species that fits the IUCN criteria for endangered could be precluded from a listing under the ESA by economic or social factors, or by a lack of political will. Since a species must be nominated for listing status by government agencies or through a public petition, more popular species may receive favoritism. The koala and other non-U.S. species may be listed under the Endangered Species Act. Photo credit: David Hancock. A hostile political climate can also negatively affect ESA implementation. Developers tend to dislike the ESA, since the law legally protects endangered species habitat from development. Politicians who are sympathetic to developers often tend to be hostile towards the ESA. President Bush utilized bureaucratic obstacles to limit the number of new ESA listings, and current efforts by republicans in congress seek to dismantle the law. Politics keeps the ESA considerably smaller than the IUCN RedList. The ESA currently lists 2,215 endangered or threatened species, roughly one tenth the amount of threatened species listed by the IUCN. Why does it matter if a species is endangered, threatened, or vulnerable? Why should you care? Species listings act as labels to help us understand the natural world. Consider the case of lions and tigers, two species that are traditionally considered endangered. In spite of popular belief, the status of these species is quite different. While there are only 3,200 tigers left in the wild, the number of wild lions is actually closer to 30,000. The distinction between the IUCN listings of vulnerable (lions) and endangered (tigers) actually reveals a magnitude of difference in population size as well as conservation urgency. To consider both species as endangered would be misleading. 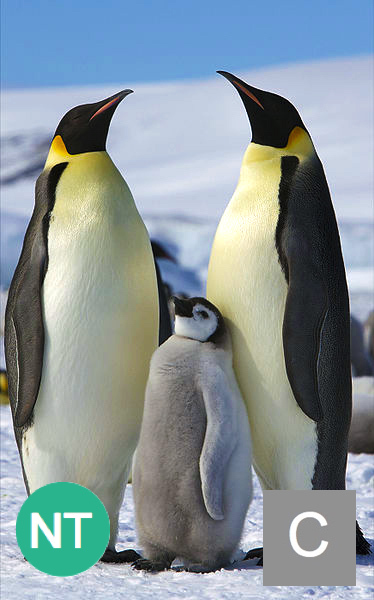 The emperor penguin, listed as near threatened by the IUCN RedList, is a candidate for listing on the Endangered Species Act. Photo credit: Ian Duffy. Look up a handful of species on the IUCN RedList or in the Endangered Species Act that you traditionally thought of as endangered. Are they better off than you thought or worse? You might be surprised at the levels of recovery among species colloquially considered to be endangered. If a species is worse off than you thought, pay attention to news and updates about its conservation, and avoid actions that could be detrimental to the recovery of that species. As the Endangered Species Act has shown, politics can be both beneficial and harmful to conservation efforts. Support among politicians and the public comes and goes, and it is our job as concerned citizens to let politicians know that conservation is important. You can help by emailing your politician or by tweeting members of congress. Let them know that the Endangered Species Act should not be weakened or undermined. Sign petitions, or even attend protests to get the word out. By standing up for the Endangered Species Act, you send a powerful message that the term “endangered” has meaning. 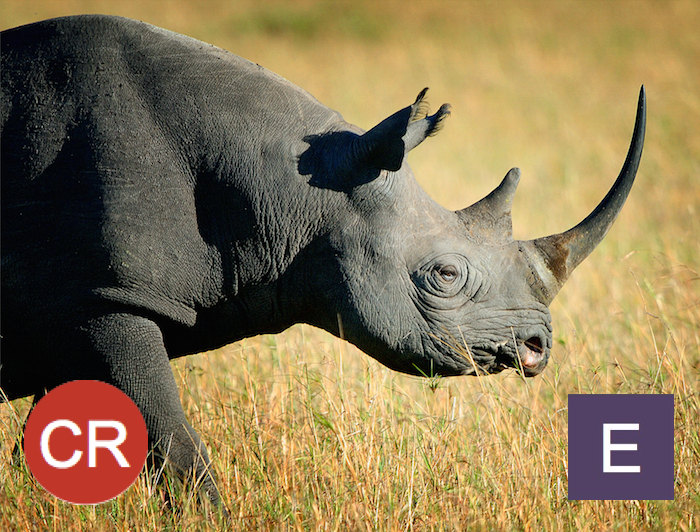 Explore the IUCN RedList with this fun quiz – What threatened species are you? Excellent blog post! Wonderful work. Although, I believe the case with wolves should be considered a bit differently. The wolf should not be considered a recovered species when the estimated population is only 5,000 in the lower 48, occupies just 5 percent of their historic range and when the Endangered Species Act dictates wolves be restored to a “significant portion” of that original range before they are ready for delisting. If, however, the wolves when delisted, were treated as an endangered species fresh off the ESA, things may be different. History has demonstrated that societal values ultimately determine the survival of a species as controversial as the wolf. Wolf management evokes a wide range of public attitudes, polarized views, and prolonged contention. The future of the American gray wolf may become very grim as the war against the wolf continues with Congress’ aggressive, officious interference in wolf conservation with proposed legislation that undermines the Endangered Species Act. Look what happened in 2011 when the government began stripping their protection under the Endangered Species Act, which transferred “management” to the states… by December 2014 over 3,400 wolves had been slaughtered in just six states. So much hatred of wolves begs for some sort of protection. I agree that recent political developments are troublesome, and that targeting the teeth of then endangered species act will have profound implications for all listed species. Still, there has to be a way for species, or populations, to recover enough to be delisted but still receive some form of intermediary protection. Going from protected to a free for all seems like asking for trouble, as is shown by the mass slaughter of wolves you mention. Take Home Message: The term "endangered" is more nuanced than most people realize, with a different meaning depending on who you ask. The two main lists of endangered species are the IUCN RedList and the US Endangered Species Act. The RedList is based on scientific criteria while the Endangered Species Act is a political listing that carries legal protections for species. Familiarize yourself with the listing of your favorite endangered species; you may be surprised to learn they are doing better or worse than you thought. When conservation issues get political, get involved by writing to your representatives in government, by protesting, or by signing petitions.